AU Launches New Initiative on North American Integration | American University Washington D.C. The new initiative will facilitate research collaboration across academic institutions. The late Robert Pastor was committed to understanding both the current reality, and future promise, of North American integration. He served on the National Security Council under President Jimmy Carter before eventually becoming an American University professor. He died of cancer in 2014, but a Pastor fund for North America will help AU carry on his legacy through academic scholarship. AU’s Center for Latin American and Latino Studies (CLALS) and the School of International Service (SIS) have partnered to launch the Robert A. Pastor North America Research Initiative. It’s a new effort to promote and disseminate cutting edge research on North American integration. 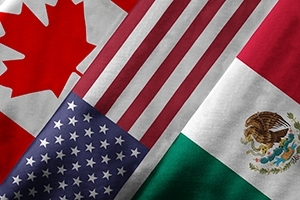 The program will support a group of scholars studying regional issues of import to Canada, Mexico, and the U.S. Hershberg states that there’s an emerging generation of scholars already conducting innovative research in this field, and the initiative will facilitate collaboration across academic institutions. “If we could connect people in a network, we believe we can really push the frontiers of scholarship,” he says. The plan is to bring together those scholars to meet several times a year, for the next three to five years. “We will continually be on the lookout for exciting new currents of work, and we’ll try to engage those,” he adds. On October 27-28, they will host a workshop with roughly a dozen junior scholars. Technology allows early planning to be conducted virtually, and connections among researchers transcend geographic location. One key person involved is Tom Long, now teaching at University of Reading in the United Kingdom. A specialist on U.S.-Latin American relations, he earned his Ph.D. from AU and was one of Pastor’s students. This nascent initiative has already opened communication with North American policymakers, diplomats and former ambassadors. AU will co-sponsor a public panel at the Mexican Cultural Institute of Washington, D.C. on October 27. This is an opportune time to be examining North America. With the ascent of Donald Trump, the 2016 election season has featured heated debates about NAFTA, U.S.-Mexican relations, and regional immigration. CLALS, SIS, and affiliate scholars could offer new ways of looking at some contentious issues. Immigration, Hershberg argues, is better thought of as population flows. Skepticism about integration can give way to xenophobia, which Hershberg says exists in all three countries. But those views, he argues, do not reflect the overall sentiment in North America. The new North America research initiative is not an advocacy organization. Yet affiliate scholars can certainly extend this debate beyond sound bites to a more substantive, informed discussion about the region.